Eric was born on 25 June 1903, the son of Richard Walmesley Blair and Ida Mabel Limouzin, at Motihari, Bengal, India. He attended a small convent school in Henley-on-Thames, before moving on to St. Cyprian's preparatory school, at Eastbourne, Sussex.. He went on to Eton College with a scholarship. In 1921, Eric joined the Burma police, serving until he resigned in 1927, determined to be a writer. 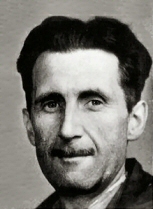 Eric, better known by the pen name George Orwell, was a keen English author and journalist. He went to fight in the Spanish civil war, and was wounded, returning to England in June 1937. 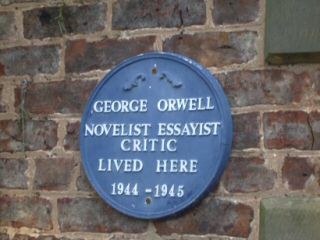 In 1938 he was diagnosed with tuberculosis in one lung, and spent some time in a sanatorium Noted as a novelist, critic, political and cultural commentator, Orwell is among the most widely admired English-language essayists of the 20th century. He is best known for two novels critical of totalitarianism in general, and Stalinism in particular: Animal Farm and Nineteen Eighty-Four. Both were written and published towards the end of his life. Eileen was born on 25 September 1905, the daughter of Lawrence O'Shaughnessy and Mary Westgate, At South Shields, County Durham. She attended Sunderland Church High School. 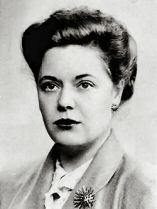 In the late 1920s she attended university at Oxford where she attained a degree in psychology In June of 1944 Orwell and O'Shaughnessy adopted a three-week old boy they named Richard Horatio Blair. I have identified the following adopted child. BLAIR : O'SHAUGHNESSY - On June 9, 1936 at the Parish Church, Wallington, quickly and without previous announcement, Eric Blair to Eileen O'Shaughnessy. Burial: Saint Andrew's and Jesmond Cemetery, West Jesmond, Newcastle. BLAIR - On March 29, 1945 at Newcastle, Eileen Maud Blair, wife of Eric Blair, Aged 39. 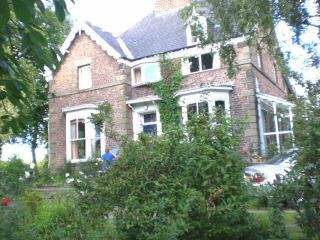 BLAIR, Eileen Maud, of Greystone, Carlton, Stockton-on-Tees (Wife of Eric Arthur Blair), Died 29 March, at Fernwood House. Clayton-road, Newcastle-on-Tyne, Administration (with Will) Llandudno, 5 December, to the said Eric Arthur Blair, journalist. Sonia was born on 25 August 1918, the daughter of Charles Neville Brownell, at Ranchi, India. I have not identified any children. ORWELL - On December 11, 1980, after a long illness, Sonia Orwell. Funeral service at St. Marys, Cadogan St. at 9:45 am, on Thursday, December 18th, followed by private burial at Putney Vale Cemetery. Cut flowers to J. H. Kenyon, Ltd. 49 Marloes Rd., W8. Tel. 01-937-0757. Details of Memorial Service to be announced later. Mrs. Sonia Orwell, widow of the writer George Orwell, died yesterday. They were married in 1949 and he died not long afterwards in January 1950 at the age of 46. His first wife had died in 1945. 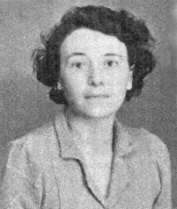 She had literary talent herself and had been assistant editor to Mr John Lehmann on New Writing and to Cyril Connolly on Horizon, the monthly magazine which Connelly founded with Mr Stephen Spender and Mr Peter Watson on the eve of war in 1939. She had a nose for talent in others, having worked with success for the publishers Weidenfeld and Nicolson, and was also a gifted translator. Her translation of Marguerite Duras's Days in the Trees was put on the Aldwych Theatre in 1966 with Dame Peggy Ashcroft, Mr George Baker and Miss Frances Cuka in the cast. With Mr Ian Angus she edited the four volumes of The Collected Essays, Journalism and Letters of George Orwell which were published in 1968.